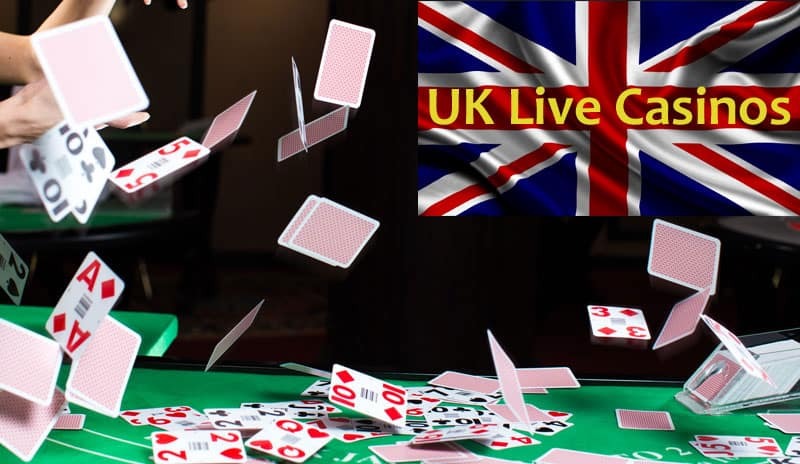 Best UK Live Casinos - Regulated Live Casinos for UK players. In 2015 the UK Gaming Market became regulated, covering betting on Sports, Horse Racing, Poker, Bingo, Casino, Lottery & online UK Live Casinos. The UK Gambling Commission made it a requirement that any operator who transacts with or advertises to British Residents requires a gaming licence. Furthermore, Operators can only use software and games from businesses that have also been registered with the UK Gambling Commission. The Casinos in this short list are my 5 best casinos for UK players. There is an extended list towards the bottom of the page, this gives details on the games and a few more casinos worth trying. The net result of these two changes saw loads of Casino Operators leave the UK market. The ones that wished to remain had to apply for a licence and pay the Tax. The regulations were introduced to provide greater player protection, but there are some that suggest it’s just another cash cow for the government. The removal of auto spins features on slot machines. Making it easier for players to self-exclude from playing. The ability to set play time reminders. I’d say Yes. Regulation has to be a good thing if there is a central body deciding on a set of rules and then monitoring them. While not everyone was a fan as some of the well-known brands just disappeared we have seen the regulations in action. A number of operators have had their licenses suspended and fines dished out for non-compliance. There is also a better framework in place for dealing with player complaints, with the development of a network of independent arbitrators being formed to provide this service. Unfortunately, since the introduction, there have been a number of online casinos that have gone out of business. Whilst the regulations required casinos to ring fence players monies for this very issue, the reality of being able to payout was different and most players lost their money. Not all Live Casino suppliers have UK Licenses. British players are therefore restricted to games from the operators below. Evolution Gaming – 8 Live Games streamed from Studios in Riga and Malta. MediaLive – 3 Live Games streamed from studios in Gibraltar. Playtech – 7 Games streamed from studios in Latvia & Philippines. NetEnt – 2 Games streamed from studios in Malta. Authentic Gaming – Live Streamed Roulette from land based casinos, inc the USA. The UK market is something that I know the most about. I’ve lived in the UK all my life and as you’ll see from my About page I have a real interest in Land Based and live casinos. There are some casinos that don’t hold a UK License still targeting UK players. Most are based offshore and pay no tax to the government. It’s not illegal to play at these sites, in fact, I have some of the more reputable ones listed on this site. It’s up to the Commission to go after these casinos and censure them if they’re able. So in my experience these are the best UK Live Casinos currently providing live casino games to UK residents. NetEnt To see the latest Live Casino Promotions. Dreamcatcher 0.10 – 1k Evolution To see the latest Live Casino Promotions. Casino Hold Em £0.50 – £7.5k. 3 Card Poker £1 – £10k. Caribbean Stud Poker £1 – £3k. Ultimate Texas Holdem £0.50 – £500. 3 Card Brag £5 – £500 Playtech To see the latest Live Casino Promotions. Caribbean Stud Poker £1 – £3k Evolution To see the latest Live Casino Promotions. Playtech To see the latest Live Casino Promotions. Ultimate Texas Hold’em £1 – £1k. Ultimate Texas Hold’em £0.50 – £500. Evolution To see the latest Live Casino Promotions. Dreamcatcher £0.10 – £10k. Evolution To see the latest Live Casino Promotions. Dream Catcher $0.50 – $5k Evolution To see the latest Live Casino Promotions. Extreme To see the latest Live Casino Promotions. To see the latest Live Casino Promotions.